In the future, you need the right staff, the best of the region promptly and cost-effectively exactly. 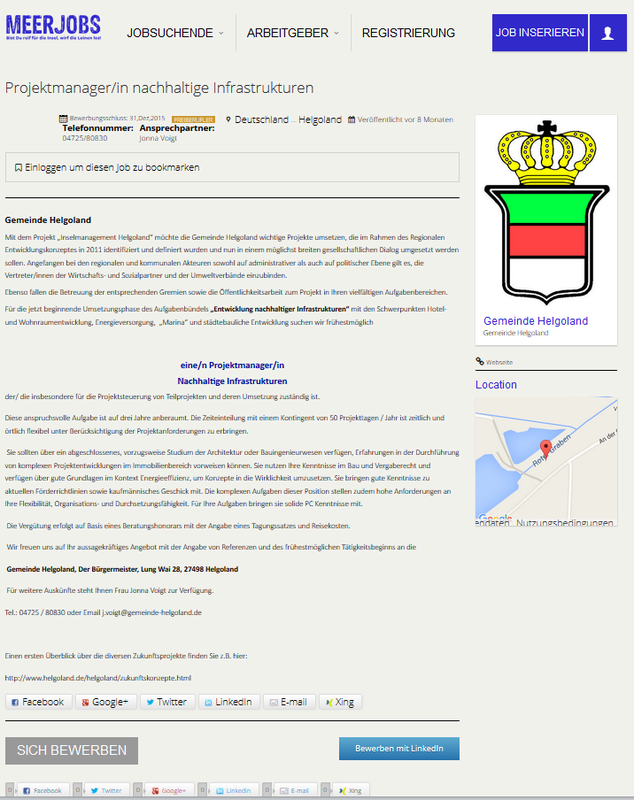 Then you are exactly right on the regional job portal www.meerjobs.de. Because we bring together the companies and the job seeker. With us, you have the chance to recruit quickly and cost-effectively new employees, whether seasonal or long term. More regional, always direct and focused. 80%-90% of the job are moving slowly but surely in the Internet – and thus also the candidate. And most are looking for and find it regionally or locally. Before you can create one of these packages, you must register with us on the registration page. You will then receive an access to the page so that you can advertise places. 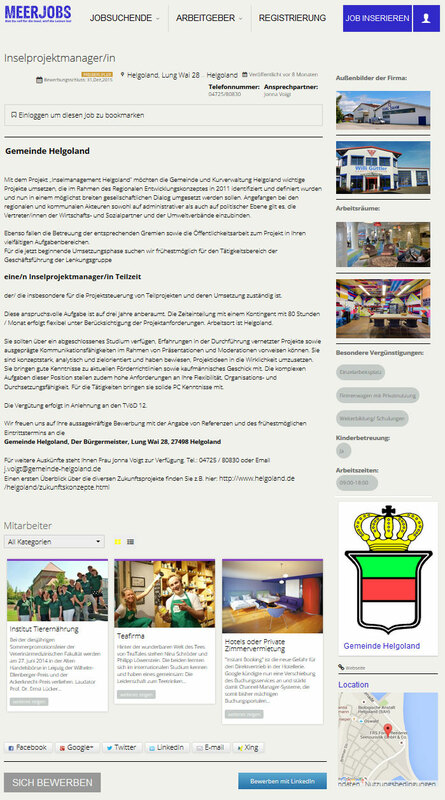 To begin with the first advertisement, you enter the details of your job ad on the form page. Then select one of the following packages * from. After payment your package, it will be published on Meerjobs.de. Prior to the release of the jobs we make a control of the input, so that everything is be. In addition, you get access to our database with the selected CVS. * OFFER PRICE!Want bigger job packages, so you can meet a request via info@meerjobs.de. We look forward to hearing from you! In addition to our remarks, we offer for job seekers in this section after registration, that possibility to upload a resume directly to our portal. Employers have the ability to access an applicant’s profile. Still, we offer the possibility to inform in advance about a company based on created employer profiles job seekers. You can do this a corresponding search profile in the backend store.